As Chapter 2: Lightning Strikes nears its conclusion, EA and Dice are gearing up for a few different events in Battlefield V. In the update, you’ll get numerous new features, including the chapter’s final event, two weekly challenges, and the Unstoppable Force Weekly Challenge. In addition, the game will see the return of the Rush game mode, in which you must attack or defend two bombs before respawn tickets run out. You’ll notice the Weekly Challenges are tied to Rush, which will be available in the Grand Operation Battle of Hannut and as a standalone mode starting March 7, 2019. Keep in mind, this is a limited time event. Completing these Weekly Challenges will reward you with XP, but you must complete sub-tasks that lead to a final challenge. Completing the final task in Weekly Challenge #1 will reward you with the Mosquito FB Mk VI aircraft, a fast vehicle that can deliver damage from above. With this plane, the focus us speed, so don’t expect to do as much damage as a plane that focuses on damage, instead. 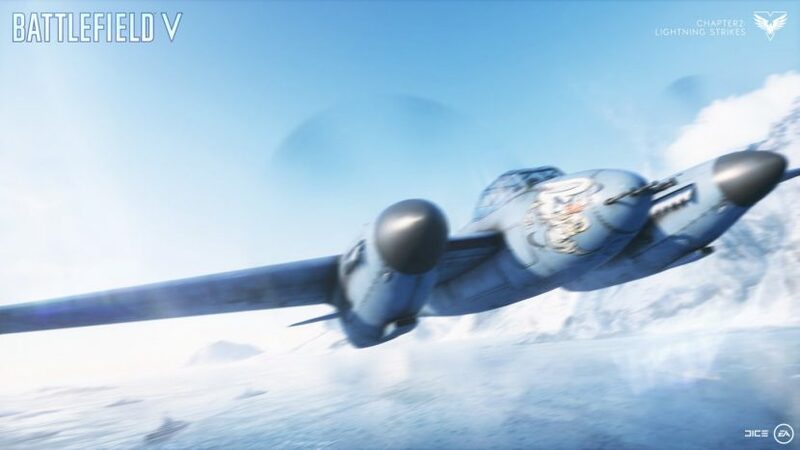 You’ll also find Weekly Challenge #2, which will be available from March 14th-21st, giving you the opportunity to unlock the Ju-88C airplane. Much like the previous plane, Mosquito FB Mk VI, the Ju-88C can also be used to become a dedicated anti-tank machine if you specialize correctly. There are numerous challenges to keep you busy during the final weeks of Chapter 2: Lightning Strikes. These range from gaining assists, deploying certain items, scoring a certain number of points as a class, completing in-game objectives, and more. None of them seem too difficult, so you should be able to unlock the aforementioned vehicles with ease. EA and Dice are hoping the community is satisfied with Chapter 2 and that we’re looking forward to Chapter 3: Trial by Fire. Aside from this, we should be seeing Battlefield V’s upcoming Battle Royale mode, Firestorm soon, if a datamine leak is to be believed. Will you be jumping in for a game of Rush? Let us know!